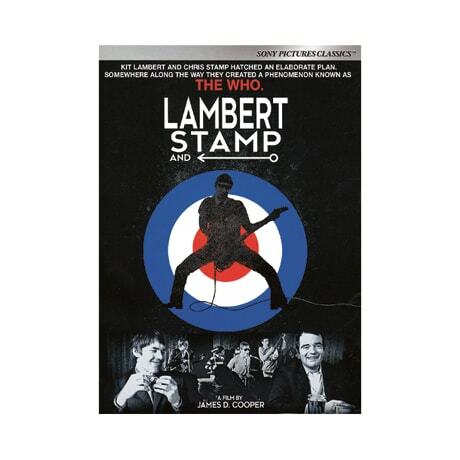 Looking for a subject for their underground film, Kit Lambert and Chris Stamp discovered the band that became known as the Who. As this 2014 documentary relates, the duo mentored and managed the band, tailoring its image and material until financial disputes led to a parting of the ways. A fitting tribute to one of rock 'n' roll's most influential bands and the impresarios who saw its potential, the film is also an in-depth portrait of popular music's most tumultuous era. Here Roger Daltrey and Pete Townshend reminisce about their early days, while Chris Stamp is discussed by his older brother, actor Terence Stamp. The disc also includes director James Cooper's commentary, and his Q&A session with punk rock legend Henry Rollins.